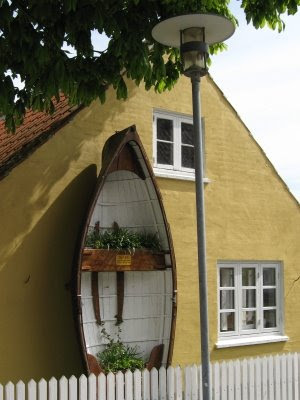 Have you ever thought of making a boat part of your garden decor? To bring a small dinghy or dory to your backyard? Here are a few ideas! 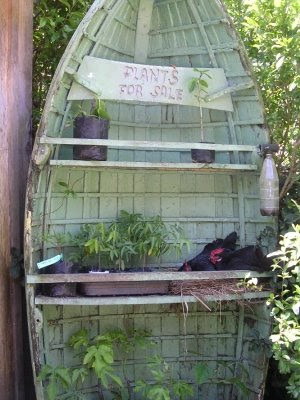 Turn a boat into a planter. Annie of Fire Fly Hill Design, who's blog sadly closed its doors, photographed this flower boat while vacationing in Ireland. Check out this example too -water lilies are planted inside! Bring a boat to your backyard and use it for storage or a nursery. Your pet chickens might enjoy hanging out in it too! Seen here. 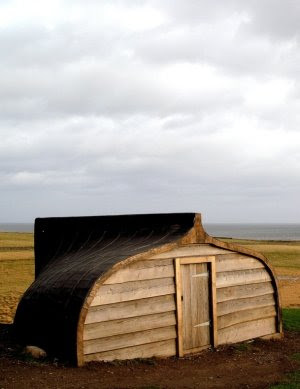 Or if you are really ambitious, overturn a boat and build a shed! Via Flickr. A boat with curb appeal! Greenery and flower pots are placed on shelves. Via Flickr. I love this unexpected use. 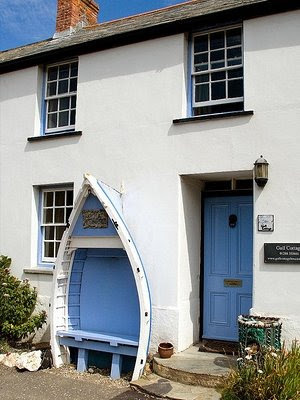 A boat transformed into a sitting nook. And just for the fun of it. How about turning a boat into an outdoor tub! Via.